After this website's first School Group & dog photograph, we kick off 2014 with another first - a Military group photograph with three dogs! Click on the image for a larger view. 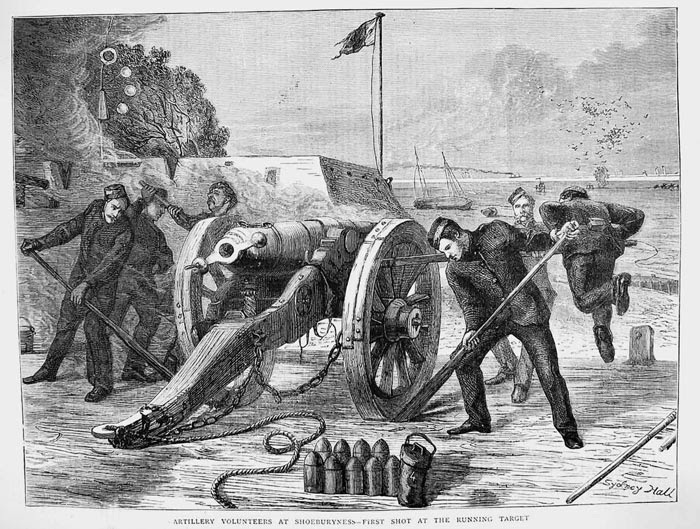 This group contains Soldiers of the British Royal Garrison Artillery. Dressed in their pillbox hats and 'undress' frock jackets. If you compare these jackets to full dress uniform there are fewer buttons (only five) down the front and the sleeve decoration is trefoil instead of the more fancy Austrian knot. If we compare one Soldier from the photograph with a 1880 watercolour by Richard Simkin, you can see the bright colours of his uniform, which are not visible in the monochrome photograph. 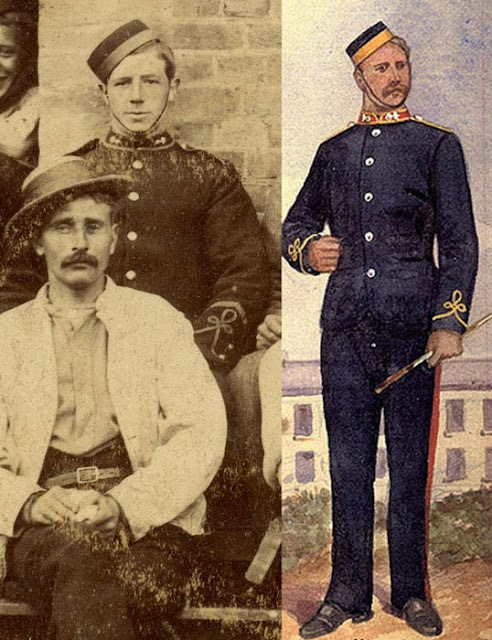 This Solider also has an additional chevron stripe on his arm above the cuff decoration, compared to the watercolour illustration. A single chevron denotes 2 years service of "good conduct". This chevron also helps to date the photograph, as before 1881 the chevrons were worn on the right sleeve. 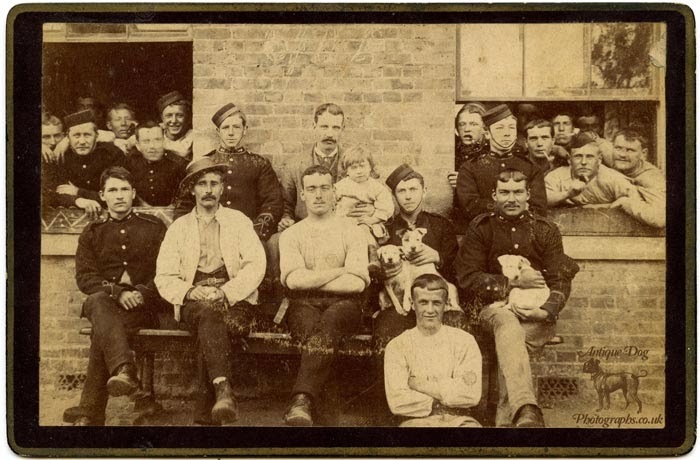 As this chevron is on the left sleeve we can say the photograph must have been taken after 1881. Interestingly some of the other men in the photograph (such as the one in the brimmed hat and pale jacket above) are wearing "mufti" or civilian dress. Those I have spoken to in researching this photograph believe this indicates the photograph having been taken at a large Royal Garrison Artillery barracks. This line of enquity lead to Shoeburyness, in Essex and the site of a large former Artillery Barracks. 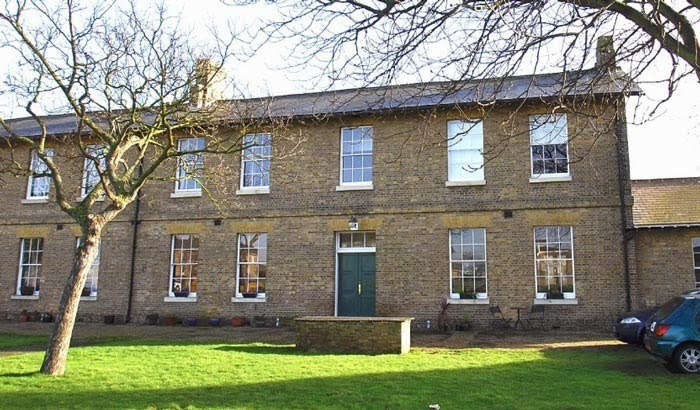 Disused since 1976, the barracks was sold off in 2000 and converted into Grade II listed housing, retaining many original features. In the photo below you can see one of these houses and what must have been the setting for my antique photograph taken all those years ago. And now we must talk about the dogs, there are three in the photograph. 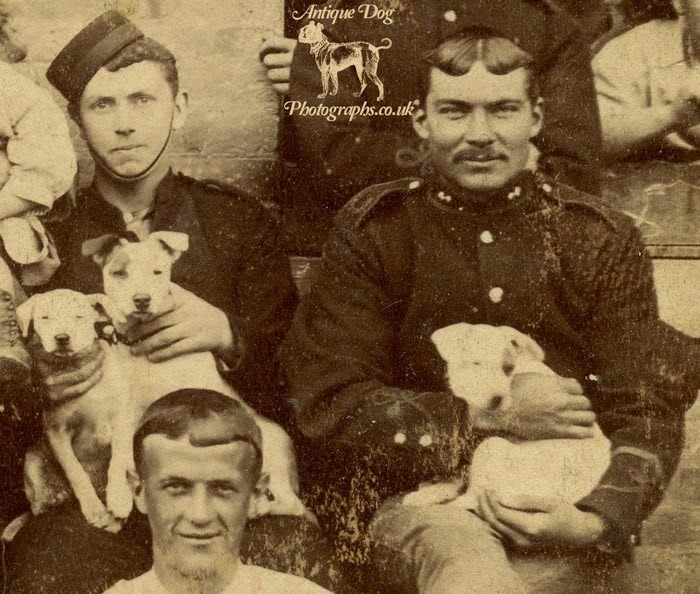 They appear to be Jack Russell type terriers, they would have proved useful at the Barracks, not just for companionship but also to kill rats in the horse stables. difficulty in differentiating the dog from the animal it was pursuing, which could prove very dangerous. This brought the need for a mostly white dog. During Russell's final year of university in 1819, he purchased a small white & tan terrier female named Trump from a local milkman. Davies, a friend of Russell's, wrote "Trump was such an animal as Russell had only seen in his dreams." Her colouring was described as "...white, with just a patch of dark tan over each eye and ear; whilst a similar dot, not larger than a penny piece, marks the root of the tail." The only picture of Trump that exists was painted more than 50 years after the she had died. The painting was commissioned by the Prince of Wales (later King George VII) who came to consider the Reverend Russell a friend. Today the picture still hangs at Sandringham castle. Trump became the basis for a Russell's breeding program in which he hoped to develop a special terrier with a high stamina for hunting and the courage to chase out foxes. "Whether or not John Russell kept a strain of rough-coated fox terriers will continue to be debated for years to come. Many accuse the parson of having been simply a dealer, buying and breeding from any terrier that took his fancy, supplementing his meager income by wheeling and dealing in livestock. 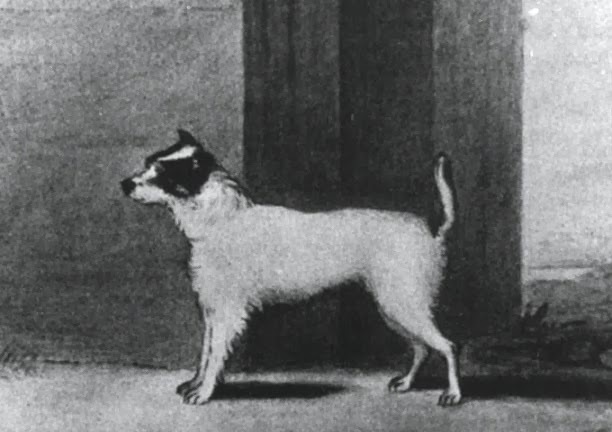 One thing is fairly certain, however: that he did much to popularize the wire-haired fox terrier - now one of the most popular breeds in Britain, but at that time a Cinderella, a poor relation of the smooth fox terrier. Russell was, in fact, one of the founder members of the Kennel Club."